You can get a 7-day free trial of Bluprint's classes. They update your options all the time. Have fun. I know I will. Red Velvet Blossom Cookies are a variation of the classic Peanut Butter Blossom Cookies, a traditional peanut butter cookie topped with a Hershey’s Kiss that has become a staple in American kitchens. Peanut Butter Blossoms were a favorite entry in the 1957 Pillsbury Bake-Off contest. Although red, these are true chocolate cookies through and through. The chocolate cookie dough and the Hershey’s Kiss in the cookie center combine for a double dose of chocolate. This is a gorgeous cookie to make and serve for Valentine’s Day and parties. 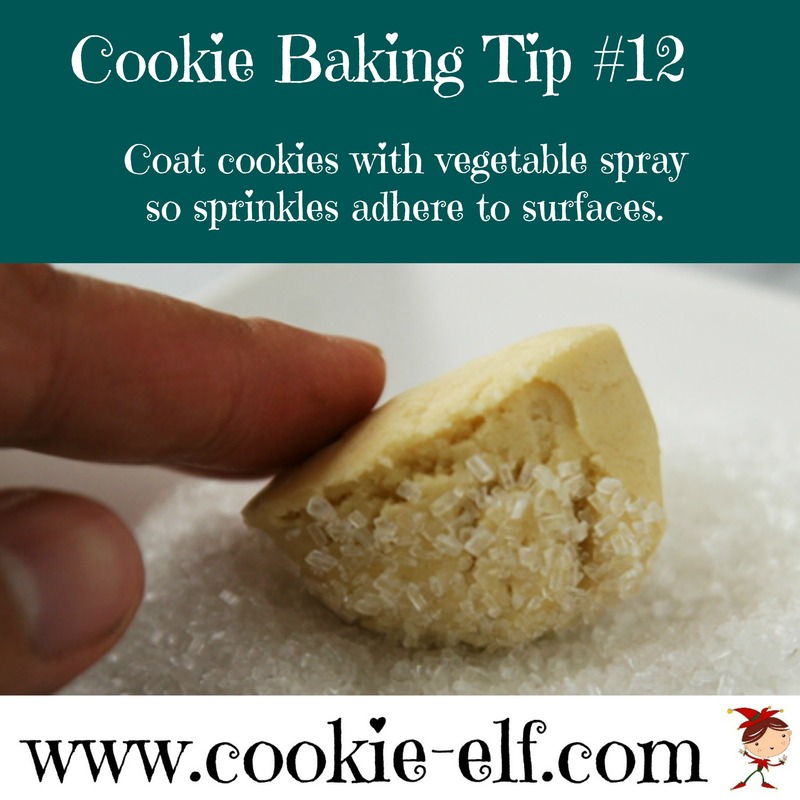 And here’s a little secret: this cookie recipe is incredibly easy and quick to make! 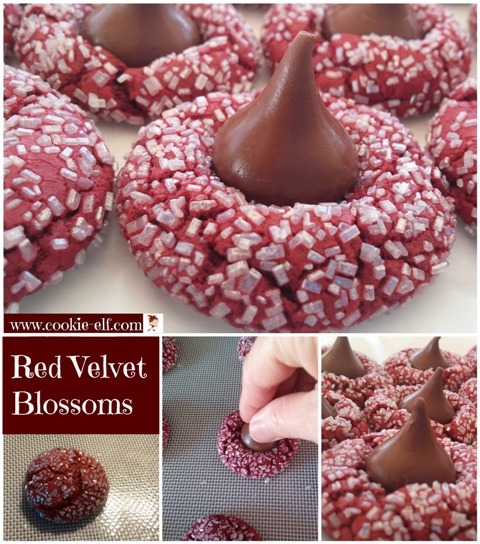 Get the full recipe for Red Velvet Blossom Cookies … and discover other red velvet cookies on The Elf’s Red Velvet Cookies Pinterest Board. Valentine’s Day is coming. There are plenty of simple, easy, and sweet ways to bake your love for your Valentine … for a school party … or for your family. 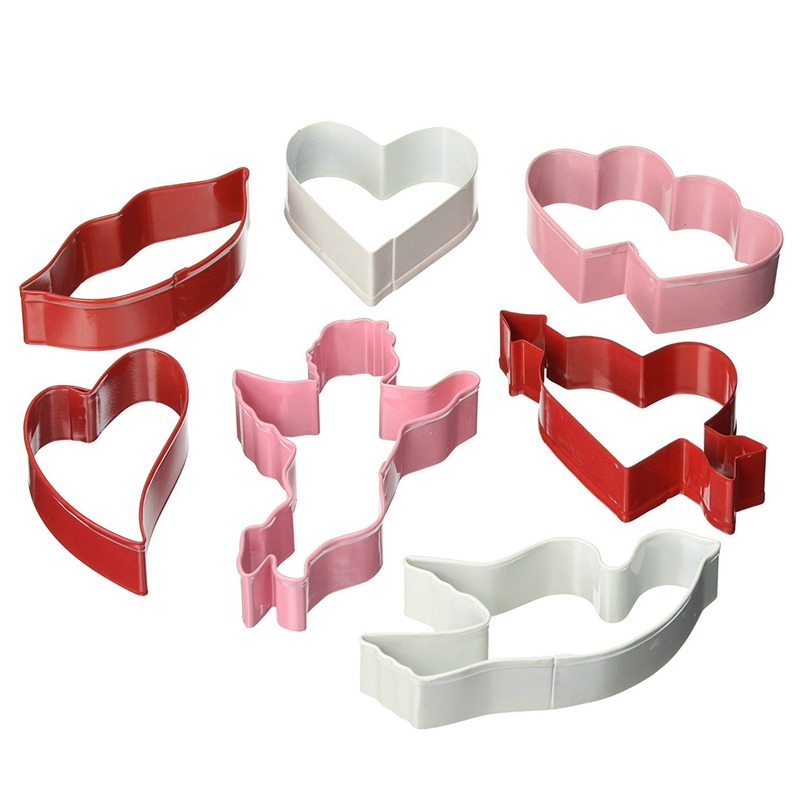 Get great ideas and products to bake some love! Browse ideas. 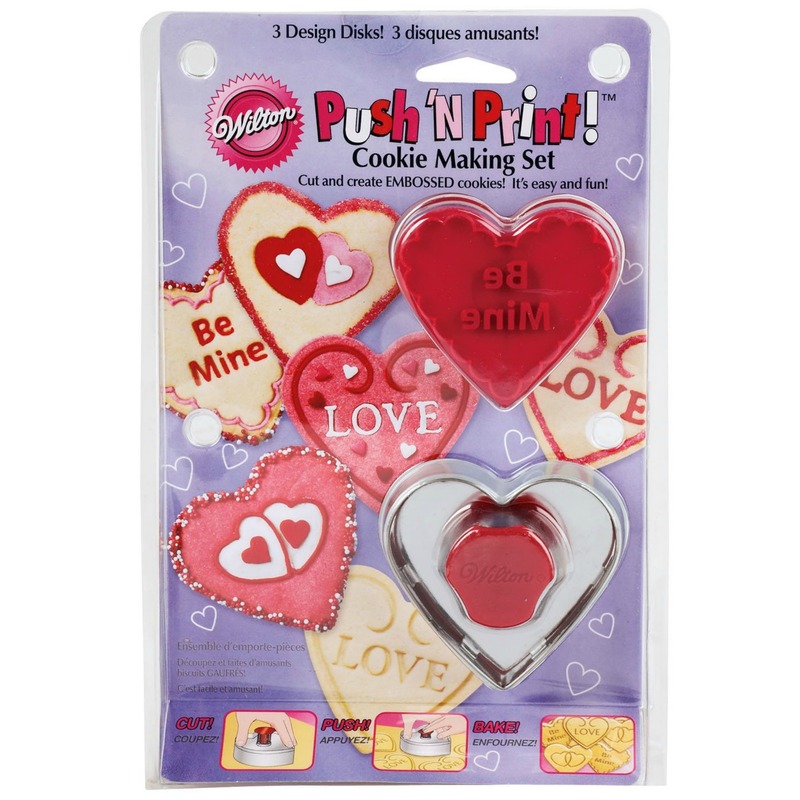 Valentine cookie stamps, cookie press disks, cookie making sets from Wilton and others. Love! 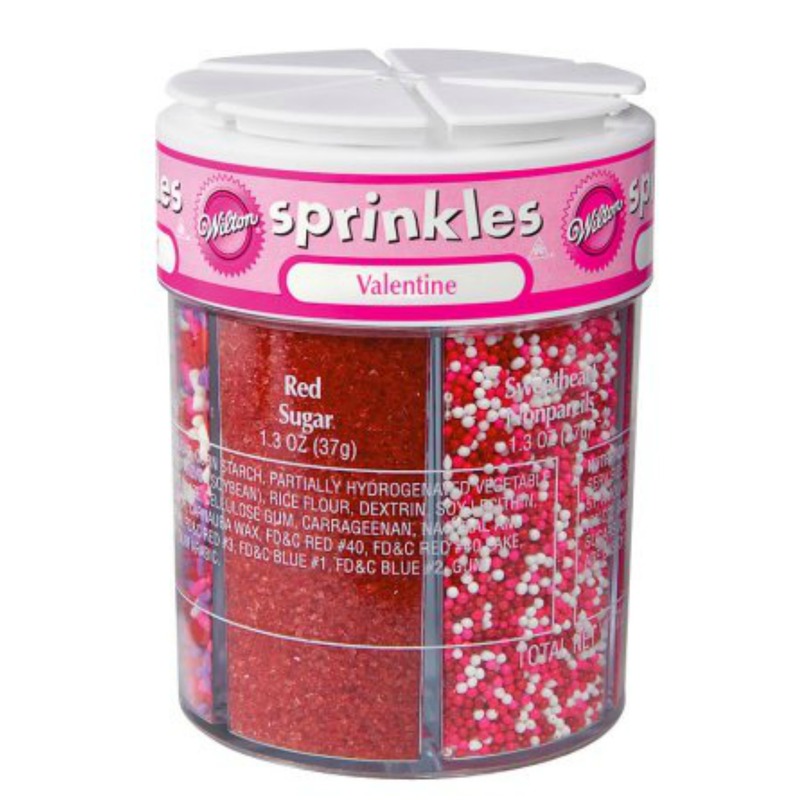 Valentine sprinkles, nonpareils, and decos, oh my!